Health Savings Accounts (HSAs) were created by the Medicare bill signed by President Bush on December 8, 2003 and are designed to help individuals save for future qualified medical expenses on a tax-free basis. Unused money in your HSA is not forfeited at the end of the year; it continues to grow, tax-deferred. What are the limits for a 2010 and 2011 health plan? Starting in 2013 the maximum amount to place in your health saving bank account or also called annual contribution limit cannot exceed $2,500 per individual or $5,000 per family. High deductible coverage often costs less than low deductible and copay plans. Typically you can save half on premiums. An HSA works in conjunction with high deductible health insurance. Your HSA dollars can be used to help pay the health insurance deductible and any qualified medical expenses, including those not covered by the health insurance, like dental and vision care. Any funds you withdraw for non-qualified medical expenses will be taxed at your income tax rate, plus 10% tax penalty. 4) Not another person’s dependent. Other health insurance does not include coverage for the following: accidents, dental care, disability, long-term care, and vision care. Workers’ compensation, specified disease, and fixed indemnity coverage is permitted. What are the tax deductible contribution limits? Federal law states that annual contribution limits are $3,000 for singles/$5,950 for families for 2009 and $3,050 for singles/$6,150 for families for 2010 and 2011. Individuals aged 55+ may contribute an additional $1,000 for each tax year. One time set up fee. Do HSAs work with physician and provider networks? Yes. 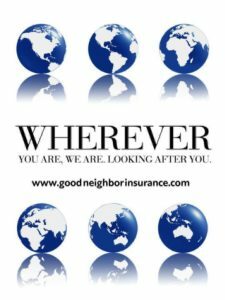 These networks are very often part of the health insurance plan, and they provide discounts on health care. The discounts apply to all care — even prior to meeting the health insurance deductible. So, your HSAs savings go further. Nonmedical withdrawals from your health savings account are taxable income and subject to a 10% tax penalty in 2010 and 20% in 2011. No, this would be a nonmedical withdrawal, subject to taxes and penalty. You can only use your HSA to pay health insurance premiums if you are collecting Federal or State unemployment benefits, or you have COBRA continuation coverage through a former employer. Yes, if you have tax-qualified long-term care insurance. However, the amount considered a qualified medical expense depends on your age. See IRS Publication 502 for the amounts deductable by age. Funds deposited into your HSA remain in your account and automatically roll over from one year to the next. You may continue to use the HSA funds for qualified medical expenses. You are no longer eligible to contribute to an HSA for months that you are not an eligible individual because you are not covered by an HDHP. If you have coverage by an HDHP for less than a year, the annual maximum contribution is reduced; if you made a contribution to your HSA for the year based on a full year’s coverage by the HDHP, you will need to withdraw some of the contribution to avoid the tax on excess HSA contributions. If you regain HDHP coverage at a later date, you can begin making contributions to your HSA again. There are three major tax advantages to your HSA. 1) Cash contributions to an HSA are 100% deductible from your federal gross income (within legal limits). 2) Interest earnings accumulate tax-deferred. 3) Withdrawals from an HSA for “qualified medical expenses” are free from federal income tax. A qualified medical expense is one for medical care as defined by Internal Revenue Code Section 213(d). The expenses must be primarily to alleviate or prevent a physical or mental defect or illness, including dental and vision. Most expenses for medical care will fall under IRC Section 213(d). However, some expenses do not qualify. HSA money cannot generally be used to pay your insurance premiums. *See IRS Publications 502 (“Medical and Dental Expenses”) and 969 (“Health Savings Accounts and Other Tax-Favored Health Plans”) for more information. Yes, the tax law requires an annual Cost of Living Adjustment (COLA) based on changes in the Consumer Price Index. This calculation, rounded to the nearest $50 increment, affects deductible limits, maximum out-of-pocket amounts, and the maximum annual HSA contribution limits. Nonmedical withdrawals from your health savings account are taxable income and subject to a 10% tax penalty in 2010 and a 20% tax penalty as of January 1, 2011. 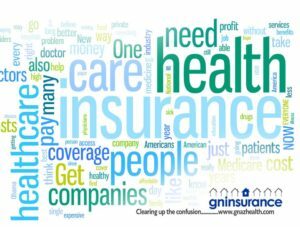 • 438,000 — Individuals were covered in November 2004 by HSA-type insurance plans — according to the America Health Insurance Providers (AHIP). • 113,000 (roughly 240,000 individuals) — IRS data on individual tax returns reporting HSA deductions in tax year 20041. • 3.2 million — Seven fold increase to individuals covered by HSA type insurance plans (November 2004 to December 2005) — according to AHIP. o 31% — Previously uninsured individuals buying health insurance on their own. o 33% — Small businesses not previously offering coverage. o Nearly 50% — Age 40 or over. • $1 billion — Dollars invested in HSAs by Americans, according to data gathered by Inside Consumer-Directed Care (ICDC) newsletter Feb. 24 issue — based on financial data provided by more than 60 financial firms including JPMorgan Chase, Wells Fargo and The Principal Financial Group. • 14 million by 2010 — Treasury Department projection of HSA policies (covering 25 to 30 million people) — based on current law. • 21 million by 2010 — Treasury Department HSA policies estimates rise by 50 percent (covering 40 to 45 million people) — based on the President’s health care initiative.